Public Records are collected and maintained by government agencies. Follow the links below to view records details & resources. Public Records can be searched either by accessing free public records online or by requesting a copy from the agency holding the documentation, usually for a small fee. Data (information) from all sources are collected by Information Distributors who, in turn, market and sell that information to others. The government, at all levels, records every important event, transaction, and litigation concerning its citizens. Most of these records are created at the local or county level. The Bureau of Vital Statistics maintains data concerning births, marriages, divorces, and deaths. The circuit and county courts have data pertaining to civil and criminal cases. Various departments maintain applications for licenses for a variety of activities from fishing to business occupational licenses. Most of these records are periodically forwarded to the state, usually in summary form, meaning they may not contain all the information that was in the original file. Most every state capital has a repository for records from all its counties, as well as a collection of records from state-level departments and agencies. Records from Vital Statistics move up to the Department of Health, Bureau of Vital Statistics. 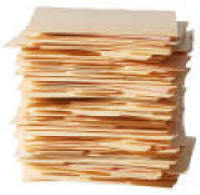 Court records are included with the records of the Department of Justice, State Supreme Court. The Secretary of States office is the central repository for a variety of data, including the Department of Motor Vehicles (or "DMV" as it is known), one of your best sources for locating people. Also included in the Secretary of State's records are various records regarding business and financial licenses and judgments, including corporation and Uniform Commercial Code (UCC) filings, and information about workers compensation cases. These are often free public records. Investigative Professionals' "Extensive Background Check," accesses all of these databases and many more directly from the source. You only need to fill out our easy online secure form and you will have your results in a few hours sent to your email. At the federal level, US Government records are maintained in a number of depositories and government departments. The two largest are The Library of Congress, the nations mega-library, and The National Archives, a vast repository of government records and census. The US Government Printing Office provides a selection of directories and books to help you weed your way through the maze of government records. Several Information Providers have federal records sources on-line. All these records are open to the public! The amount of the fee should be determined before a request is made. Call or fax the agency before making a request for information - not only about fee structures, but also about regulations, laws, policies, and form requirements. Obtain your subject's signature on a Consent Form. Know state, county, and local laws and ordinances regarding the release of information about an individual to a potential employer, landlord, or other requestor. Under the law, you have certain legal rights to access most public records. Before you set out to delve into these records, know your rights, as well as the limitations you face. Take for instance the top portion of a credit report, called a "credit header." The Freedom of Information Act classes the credit header as "open information." Conversely, The Fair Credit Reporting Act considers the body of the credit report "closed," unless the inquirer has been granted written permission to see it. The entire compilation, therefore, is considered "semi-open." The Freedom of Information act is for everybody. You do not have to be a PI to benefit. You can just be someone who seeks information. The Freedom of Information Act is a federal law that designates which public records are open to the public for either reviewing or obtaining documents. Each state has an act. For example, Georgia has an Open Records Law and that stands side-by-side with The Freedom of Information Act. These laws vary from state to state. Anyone can obtain certain records about individuals, companies, associations, and the like. The Freedom of Information Act has really helped the general public in making information available. It's a federal Act which really doesn't apply all that often. The State of Florida has Chapter 119 which concerns public record information: what is available and what isn't. This law is more important for The Freedom of Information Act, which would allow one to get federal documents and information about Congress and so forth. In other words, The Freedom of Information Act is not as important as the local statutes when it comes to state-held information." The Freedom of Information Act (FOIA) - 5 USCA Section 552 (1966) - provides for disclosure of information held by the administrative agencies of the US Government. The Act gives all citizens access to all records in the custody of the government's Executive Branch, unless specifically exempted. (An invasion of privacy is one such exemption.) The requestor need not furnish a reason for seeking particular information. The Freedom of Information Act (FOIA) - 5 USCA Section 552 (1966) - provides for disclosure of information held by the administrative agencies of the US Government. The Act gives all citizens access to all records in the custody of the government's Executive Branch, unless specifically exempted. (An invasion of privacy is one such exemption.) The requestor need not furnish a reason for seeking particular information. The Freedom of Information Act (FOIA) - 5 USCA Section 552 (1966) - provides for disclosure of information held by the administrative agencies of the US Government. The Act gives all citizens access to all records in the custody of the government's Executive Branch, unless specifically exempted. (An invasion of privacy is one such exemption.) The requestor need not furnish a reason for seeking particular information. The Privacy Act -5 USCA, Section 552A (1974), is a companion act to FOIA, and guarantees certain records will remain closed without the written consent of the subject. Only he or she may have access to those records, which may be used only for the purpose for which they were intended. The Fair Credit Reporting Act (FARCE) - 15 USCA, Section 1681 est seq (1970) - is the first major federal law enacted to protect privacy. The act deals with consumer credit and governs how a consumer financial report may and may not be used. It prohibits the inclusion of obsolete data, describes information which must be released to the government, outlines how a consumer may learn exactly what is on file, and permits the challenge of incomplete or inaccurate information. The Family Education Rights & Privacy Act allows schools to release directory information to the public without the consent of the student. A student may request in writing that all or part of the information remain confidential. With very few exceptions, every American is on file somewhere. Hundreds, if not thousands, of repositories throughout the country and around the world have data on you - and numerous details about you. Order our Extensive Background Check to see what is in public and proprietary database records about you. Order a Background Check online now! Experienced database search specialists will immediately go to work for you, to quickly return real, meaningful results. See our Sample Report Our Expert Background Checks offers guaranteed search results, free consultation and 24 hour return.